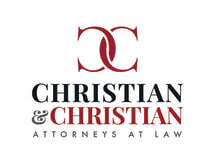 At Christian & Davis LLC, we are dedicated to helping injury victims seek everything they deserve. Based in Greenville, our law firm represents clients throughout South Carolina. Our personal injury practice includes a wide range of claims, including those related to car and truck accidents, medical malpractice, nursing home negligence and abuse, products liability, medical devices and pharmaceuticals, premises liability and wrongful death. We also offer legal services in the areas of workers' compensation, Social Security (long-term disability), and general litigation (including insurance, business and construction matters) and appeals. Christian & Davis LLC is the successor to an earlier firm that was founded in 1975, giving us deep roots in the communities we serve. Since these early beginnings, we have vigorously advocated for injured parties against those who are responsible for the accident or wrongdoing. Our attorneys are principled but aggressive, and committed to Christian values, compassionate reputation and good, old-fashioned hard work. Highly respected among our peers and the legal community, we have been rated AV-Preeminent* by Martindale-Hubbell's peer review rating system. Our lawyers also place high value on community involvement. We have served on boards of directors for schools, churches and youth organizations and are active members of bar associations and other professional organizations. We also support organizations that protect wildlife and promote safe hunting practices. As our client, you will receive quality representation and personal service. We will handle every legal and insurance aspect of your personal injury claim, or every detail of your other legal matter. Contact us today to see how we can help you. Our initial consultations are free. If your injury prevents you from coming to us, we will come to you. Personal injury and other claims are handled on contingency, which means no recovery, no fee.